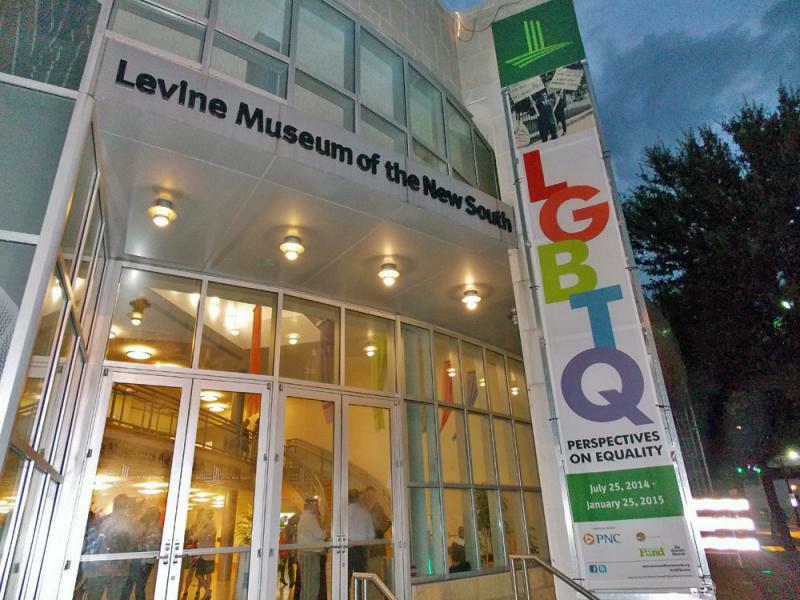 The Levine Museum of the New South is hosting a historic exhibit on the LGBTQ community of Charlotte. 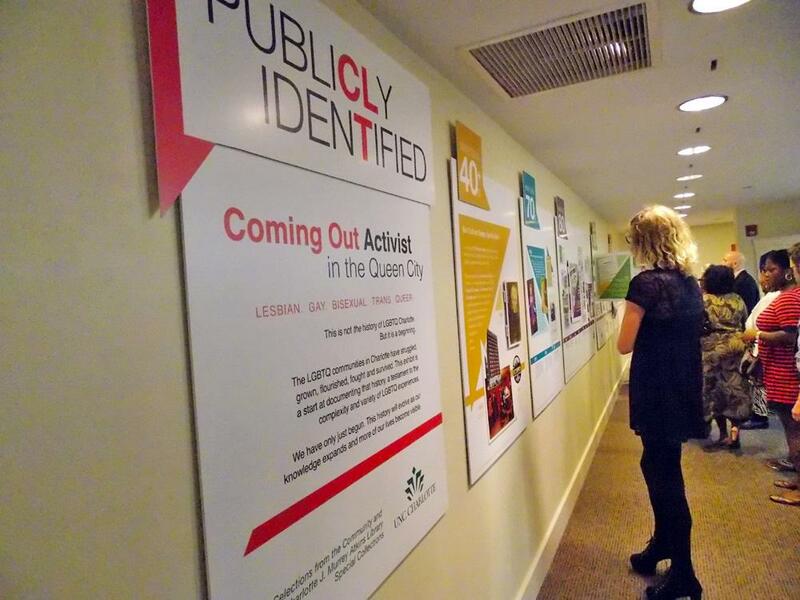 The entrance to the LGBTQ exhibit - "LGBTQ Perspectives on Eqaulity"
Visitors look at the interactive timeline of Charlotte's LGBTQ history. 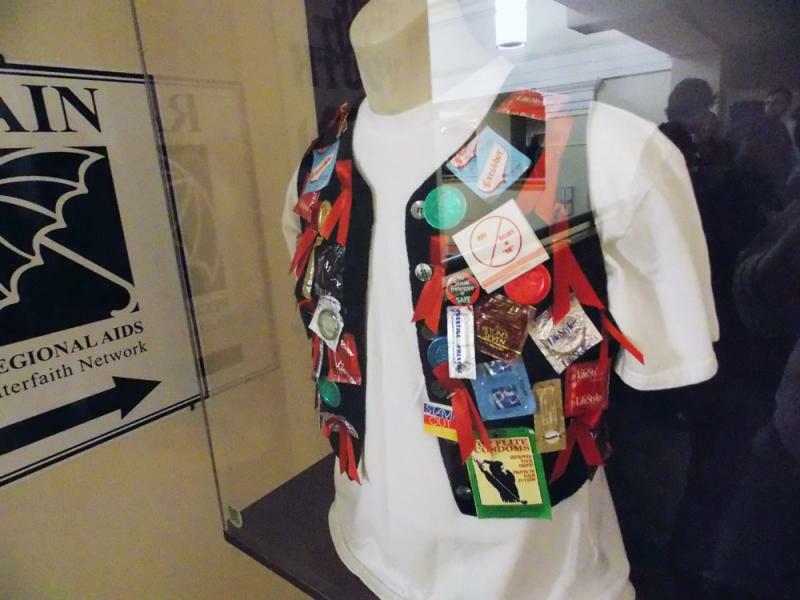 Visitors can see a vest with badges and buttons in support of the LGBTQ liyfestyle. The exhibit features a timeline of the city’s gay community and tells the stories of average citizens that made history happen. 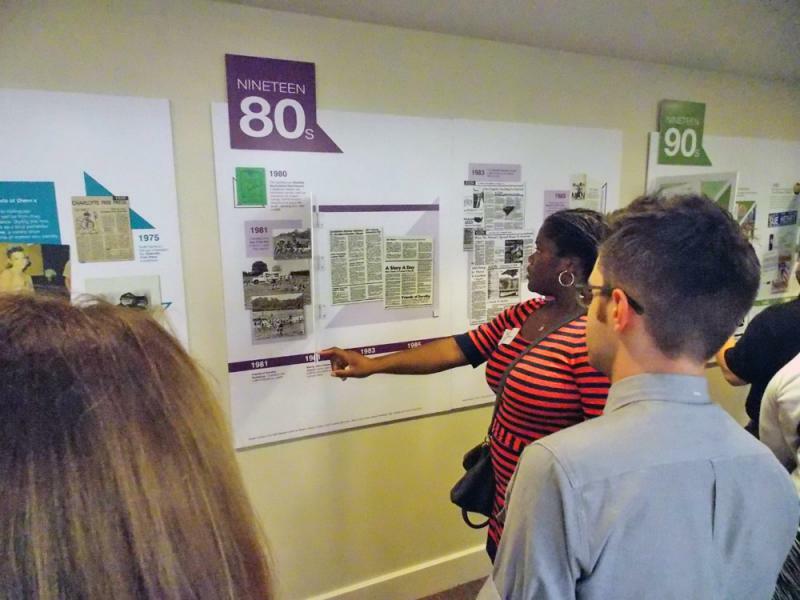 Host Frank Stasio talks with Janeen Bryant, VP of Education and Programs for the Levine Museum; Joshua Burford, Archivist and Assistant Director for Sexual & Gender Diversity at UNCC; and Bob Barret Ph.D.; Professor Emeritus at UNCC and Psychologist in Private Practice. 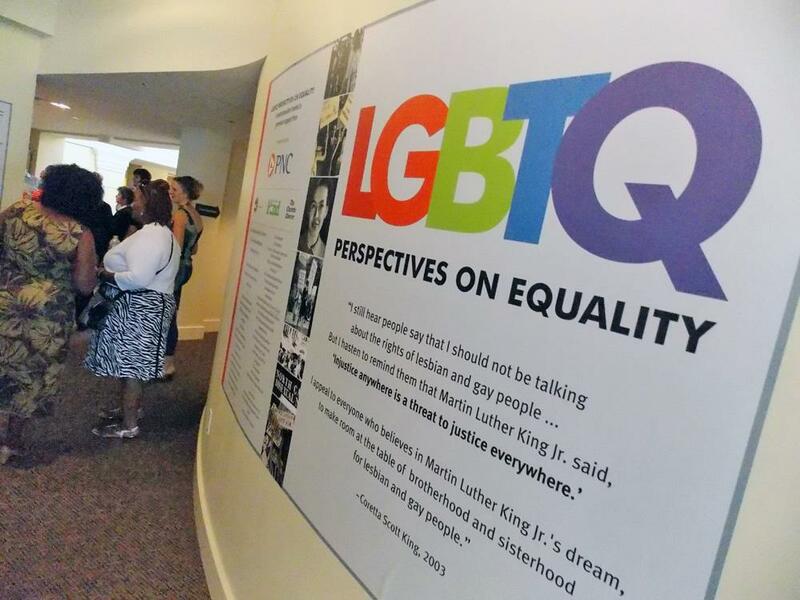 More photos of "LGBTQ Perspectives on Equality" can be seen at Qnotes.